To get there- buses from Sheffield. There’s a spooky atmosphere in the village of Eyam. When the bubonic plague arrived there in 1665, the people decided to quarantine themselves within village and not allow the disease to infect the rest of Derbyshire. Around three quarters of the population died from the plague, but no other settlement in the county caught the plague. Nevertheless, if you do visit the village, you can’t help having the sense of visiting a tomb. On that cheery start to the post, my girlfriend, her family and I all went to Eyam a few weeks ago on my birthday. We went to the stately home of Eyam Hall and Craft Centre (£7.40 for an adult; free if you have National Trust Membership). The residence, built after the plague had ran its destructive course through the village, is in a grand state and is a quaint image of domesticated Derbyshire life in the late 17th century. The staff, as may be expected from National Trust volunteers, were friendly and full of interesting information about the house and the history surrounding it. The craft centre is filled with interesting shops (like a cheese shop!) and the house has a good set of gardens to stroll around in. A handsome house. Once you have explored the house, you may wish to make your way to the 14th Century church (free) just down the road. 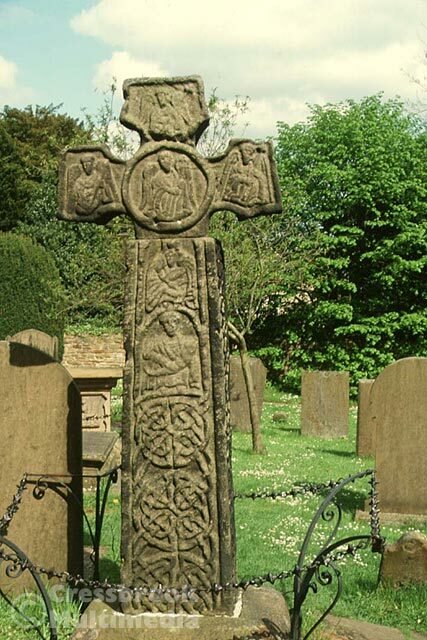 The church, which has a stone cross within it from the 8th Century, would have been the heart of the village at the time of the plague, and a lot of the history and the story of the plague’s horrors can be found here. It’s possible to still see the names of those the plague killed in the graveyard, and to learn more about the plague there. It’s also a pretty church, with several medieval wall paintings, which are rare sights. If all this talk of death and plague makes you feel thirsty or hungry, why not go to the Eyam Tea Rooms in the centre of the village? My mother and I (a long time ago) went here and I remember that the ginger beer I had was delicious. With a pot of Yorkshire Tea only costing £1.70, there is every good reason to go along whilst in the village. Should you wish to have something strong to drink after all that history, may I suggest the Miners’ Arms? Built 30 years before the Plague swept through the village, it’s called the Miners’ Arms as that is where local miners would meet to chat and drink ale. If you need to wet your throat after a day out, then retreat to this quintessentially cosy, English pub. Finally, if you’re thinking of staying overnight in Eyam, there are a few possibilities. Eyam Tea Rooms (£65-75/night) and the Miner’s Arms (£45 for a single; £70 for a double) both offer rooms. YHA Eyam,(£29 off at Booking.com)a short walk out of the village, offers good and friendly accommodation. 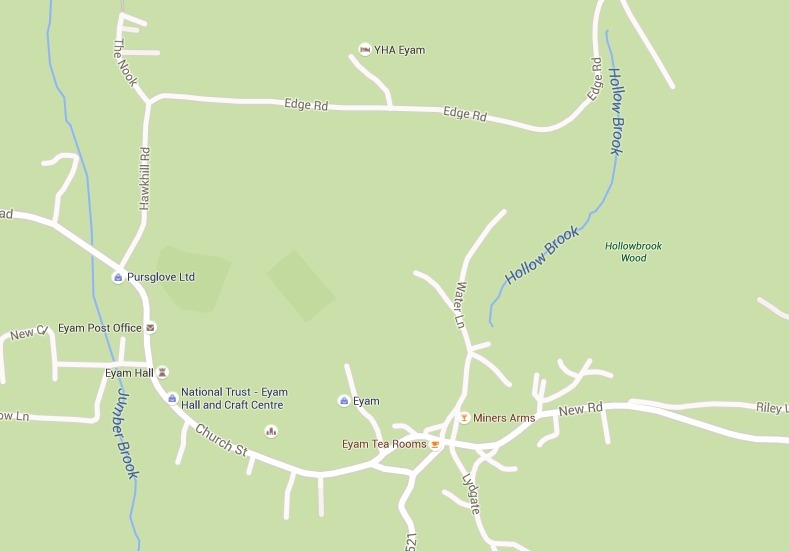 If you are in the area, I thoroughly recommend Eyam. It’s a particularly tragic yet inspirational story of the people who would sacrifice themselves for the greater good. It’s a very beautiful part of the world, and one that is not too expensive. There is nothing more satisfying than going to a quaint English village.